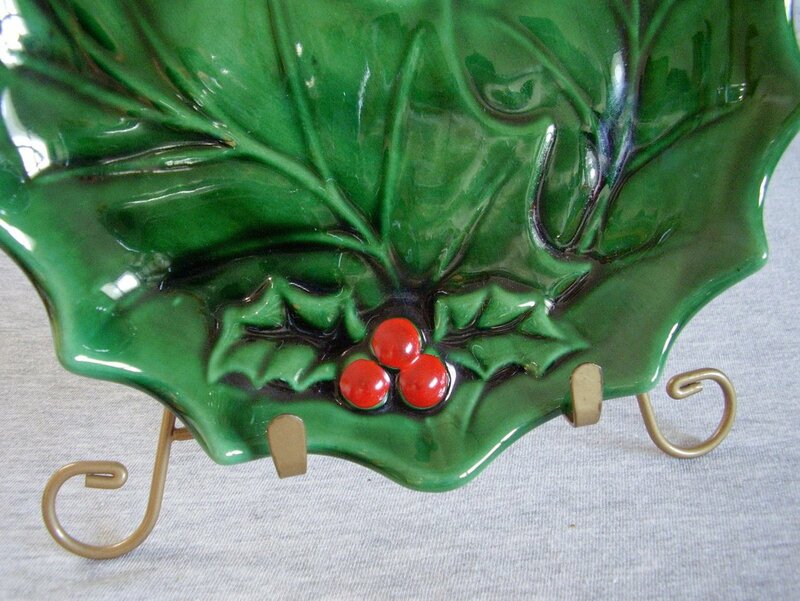 Holland Mold Ceramic Green glazed Holly serving plate with red berries. Has some light crazing all over and some light scratches on back. 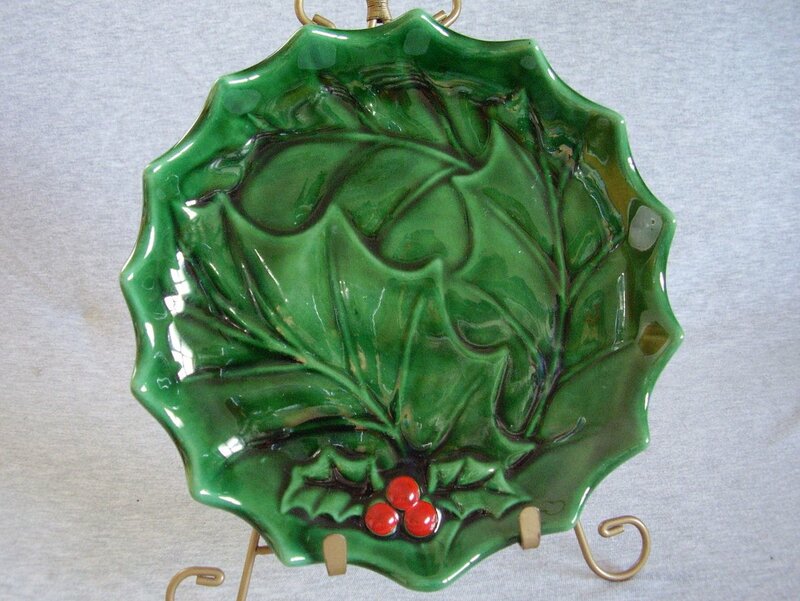 Holland Mold Ceramic Green glazed Holly serving plate with red berries. Has some light crazing all over and some light scratches on back. 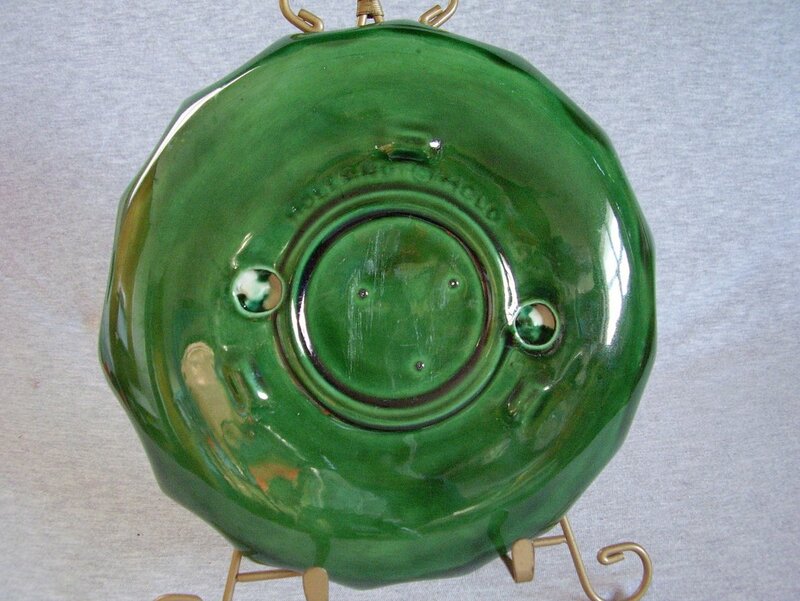 Measures 8 3/4 inches in diameter and is about 1 1/8 inches deep. No cracks, chips or fleabites. Considered very good used condition. Marked with the Holland Mold identifier. Holland Mold Inc. was founded in 1946 by Frank Hollander in Trenton, New Jersey. Various ceramic designs can be found with the Holland Mold mark, some of which are high-fired, mass-produced items. But the majority of pieces are frequently found made from plaster, and clearly the work of a home crafter. Makers of the collectible lighted Christmas trees. 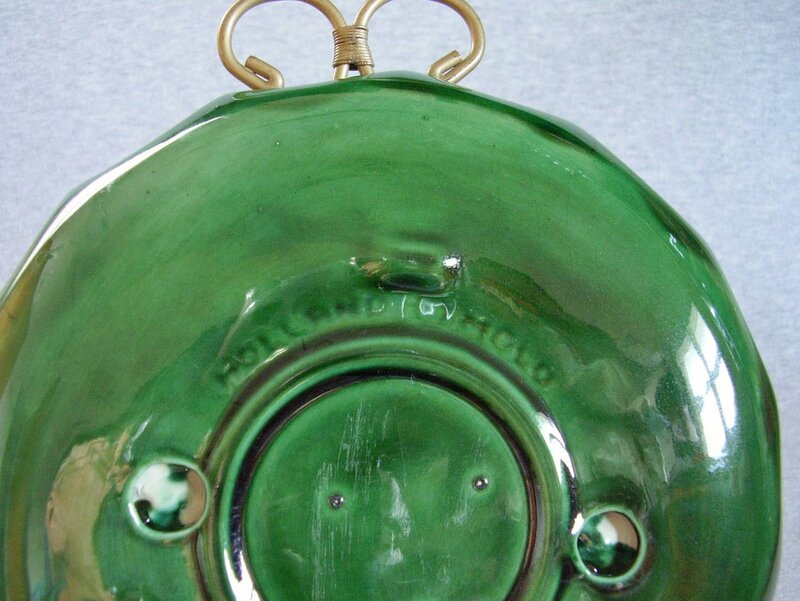 Would make a great serving plate for cookies, canapes or appetizers.